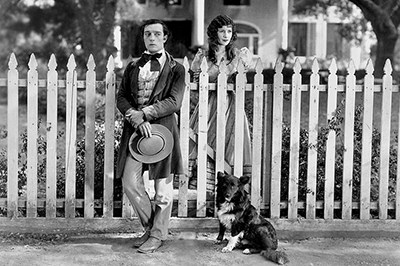 Buster Keaton & Natalie Talmadge in "Our Hospitality"
Enjoy a real old-time silent movie like your grandparents did. Chicken dinner at 7pm; Buster Keaton's "Our Hospitality" starts at 8pm with Michael Britt on the organ. Fun for the whole family. Kids under 12 FREE.